The villas were very nice and clean, just as expected. The staff remembered we were on honeymoon and brought us a lovely heart shaped cake which we enjoyed very much. It was easy to walk to the main street and you could jog a few kms inside the hotel which is not easy to do in Senggigi. They put mosquito spray at night at the rooms. The villas weren't affected by the earthquake (unlike lobby which suffered more). A fantastic resort in the heart of Sengiggi. Our private pool villa was huge (2 levels) with 2 large balconies, and opening out onto the beautiful pool. Staff are very helpful and considerate. It was our honeymoon so they even left us a special cake and decorated our room with rose petals. The complimentary afternoon tea every day is a nice touch too. We loved the pool & splashing right in from the room! And the rooms were very large and spacious. No problem accommodating our family of 4. We also loved being next door to our friends and being able to have some privacy when needed but being able to just walk right out the back sliding door to spend time with them. The breakfast was good every morning and the staff were helpful whenever we needed anything. The staff are the only good thing about this hotel. They’re great and you can see they’re embarrassed about how this place has gone downhill. The place is quiet and friendly staff. Basilico restaurant was great and a change from Asian food. 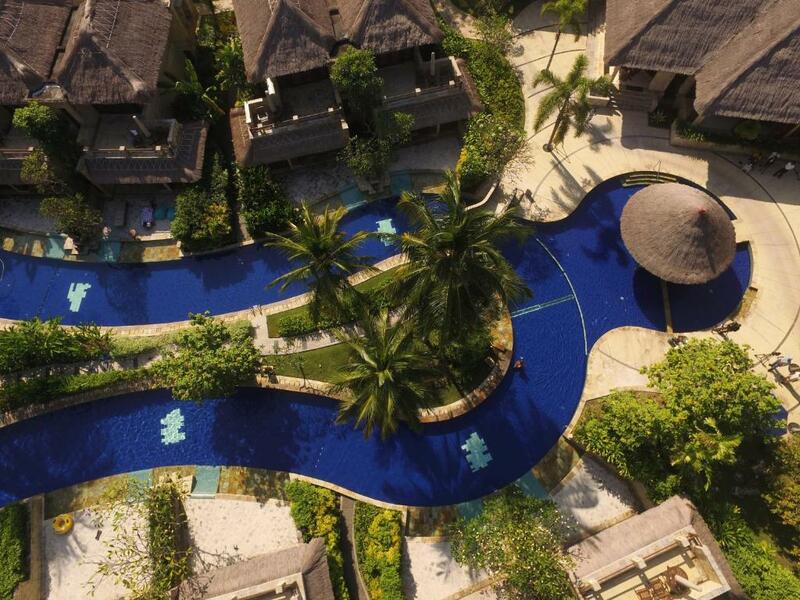 The pool villas are extraordinary. The grounds immaculate. Beautiful gardens. The attention to details is evident everywhere. We asked the hotel to arrange transport from the airport. We were greeted by staff just after we embarked the airline and assisted trough immigration and customs. Wonderful service. Highly recommended. 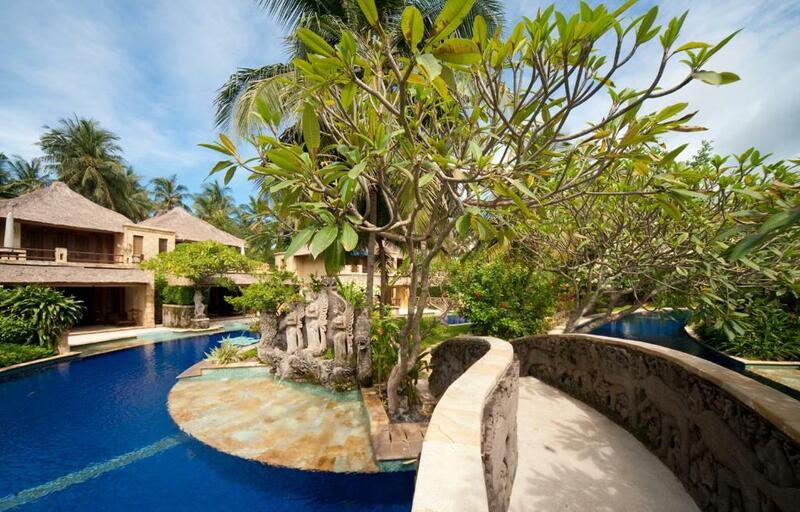 Lock in a great price for Pool Villa Club Lombok – rated 9.1 by recent guests! 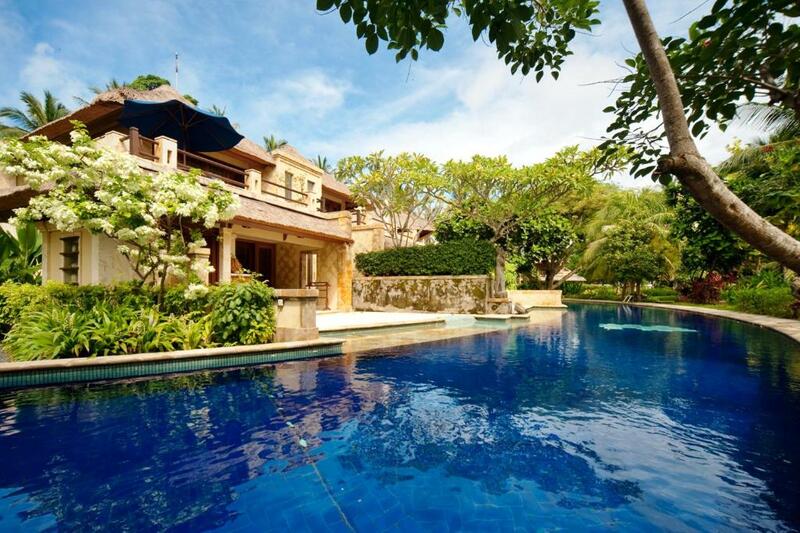 Pool Villa Club Lombok This rating is a reflection of how the property compares to the industry standard when it comes to price, facilities and services available. It's based on a self-evaluation by the property. Use this rating to help choose your stay! One of our top picks in Senggigi.Pool Villa Club Lombok is part of Senggigi Beach Hotel, overlooking the straights of Lombok. 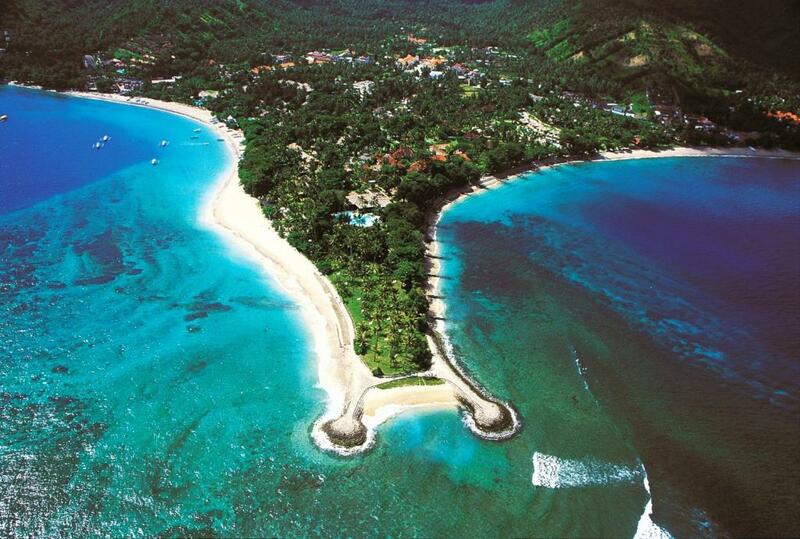 The luxury villas have access to a private beach. The resort operates a 24-hour front desk. The property also offers airport pick up service at an additional charge. 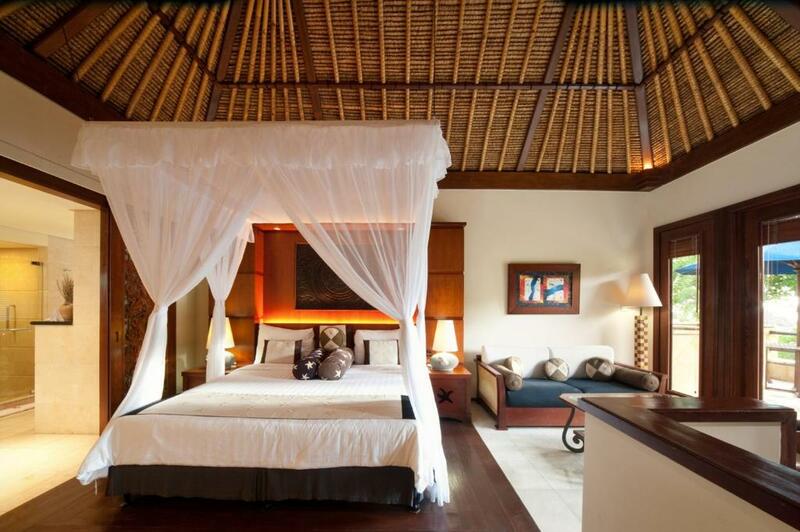 All villas are spacious, with designer furnishings, exotic fabrics and Indonesian woodcarvings. Cool, cream-colored marble features throughout. 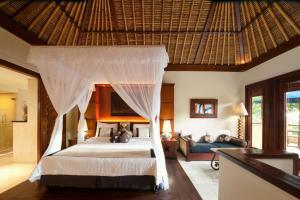 The villas are also equipped with a private sundeck, hot tub and bathroom facilities. Guests can enjoy a wide range of cuisines such as Italian, French and Indonesian at the restaurant, which is open 24-hours. Pool Villa Club Lombok offers a variety of traditional Indonesian massage and body treatments in their exclusive Aero Spa. 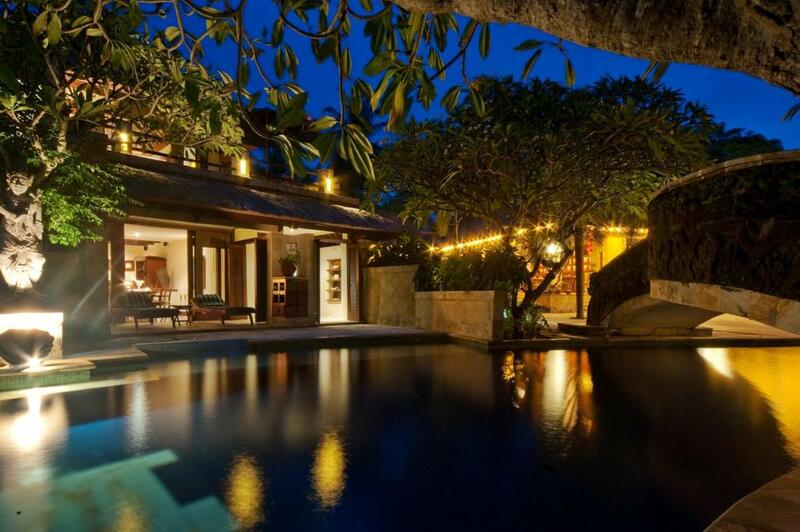 뀐 Located in the top-rated area in Senggigi, this property has an excellent location score of 9.1! When would you like to stay at Pool Villa Club Lombok? Spacious villa with a flat-screen satellite TV, home theater set, personal safety box and a sofa convertible into a double bed. It is also equipped with a sundeck, hot tub, private bathroom with hairdryer, free toiletries, shower and bath facilities. This spacious two-story villa can accommodate up to 4 guests. A king sized bed is available on the second floor, while the twin beds are on the first floor. This villa also features a private hot tub and direct access to the swimming pool. The private bathroom has shower facility, toiletries, and fresh towels. Indulge yourself in the exquisite Pool Villa Club, Lombok. 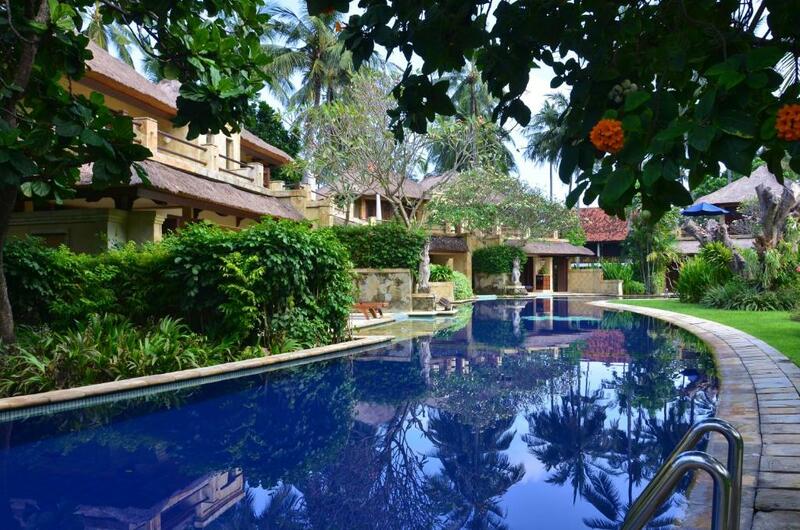 Nestled in a spacious corner of Senggigi Beach Hotel, it redefines everything your expect from a luxury villa complex. With the combination of a serene environment, secluded location, beautiful views, and modern amenities, you will feel right at home. House Rules Pool Villa Club Lombok takes special requests – add in the next step! One child from 6 to 12 years is charged IDR 450000 per person per night in an extra bed. 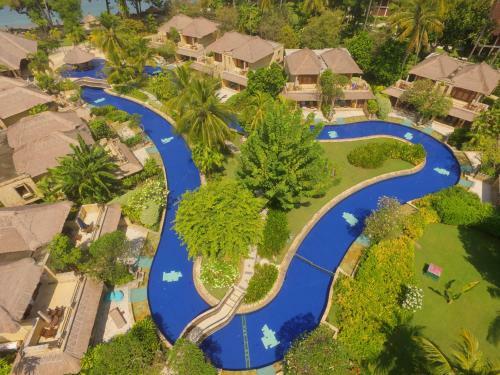 Pool Villa Club Lombok accepts these cards and reserves the right to temporarily hold an amount prior to arrival. Please inform Pool Villa Club Lombok of your expected arrival time in advance. You can use the Special Requests box when booking, or contact the property directly using the contact details in your confirmation. It's quiet here, perhaps due to fear, but it really shouldn't be. The wi-fi connection was appalling (22-25 March 19). Staff blamed it on the recent earthquake - they do not understand the difference between Internet connection wi-fi connection. When I returned for another night on 29 March the wi-fi was still terrible. On 29 March I went to the Italian restaurant on the beach for the sunset. Imported wine was out of stock. I ordered Caesar Salad described as including bacon and anchovies. The salad arrived and had no bacon and no anchovies. Breakfast was good first morning (23-Mar-19) and then downgraded/limited on days 2 and 3 (24 & 25 March). Its a small detail but the jacuzzi water temperature, sometimes not very hot and slow filling. The pool villa club is a awesome resort with all the details characteristic from a 5 starts hotel. Their staff was really nice, polite and friendly always with a smile on their face trying to make our stay as pleasant as possible. The villa was amazing, two floors, on the top floor big bedroom with sofa and a huge bathroom, bottom floor living/dining room and terrace connected to the pool. Outside area with sunbeds and a jacuzzi right before entering in the pool. The room was clean and nice temperature as both floors have AC which would be left ON by the cleaning staff . The resort is very big, close to the beach and we really only need to go outside during our 5 days stay for dinner, even though there are 2 different restaurantes working day and night. We enjoyed a relaxing stay here and will surely be back in the next years. Better bread at breakfast, but no so easy to find on the Island ! Great services to facilitate our stay and to support our activities on Lombok Island. Direct access to the huge swimming pool from the villa. Quiet simple breakfast with kind waitter. First of all, the hotel covers a large area. The sea is very beautiful in color and clear in water. Unfortunately, there are a lot of human waste on the beach. Once you go to the beach, you don't want to go there again. Secondly, the hotel service is generally average, especially the restaurant service is very bad, the dishes are very bad, the room facilities are old, the bathroom, shower nozzle, cabinet and so on are broken, the mosquito net is not clean, dirty things will fall on the bed. Finally, the music of the nearby bar can be heard in the room at night, and the loud noise affects the rest. All in all, it's still a lot worse than Thailand and next door Bali. Our review has 3 main points. The first two are regarding the hotel itself: pool and internet. The pool which was supposed to be amazing looked dirty. The water was not clear and it was full of leaves. Thus, we did not enter once. The internet was very weak which cannot happen in a 5 star hotel. However our main point is that we lived through the most recent Lombok earthquake there and they were not prepared. There were 2 tsunami alerts and the hotel sent us to sleep on our rooms! We were right at beach level and they had no evacuation plan, no one moving us to a higher place. There were only 3 employees left but unfortunately they were misinformed and with no clear plan. We ended up leaving the hotel and getting help at the Santosa nearby. They took us to a cliff and helped us know what to do. Came back the next day at sunrise and left immediately. 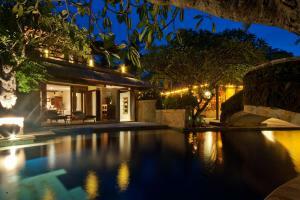 Great location - very closeto harbour Senggigi and city center with local restaurants. Large comfy villa with direct access to pool, friendly excellent staff service. Food is not so good except the Italian restaurant. Overall the resort is nice and well maintained. Pool is right at your backyard. The sandstone construction really adds the charm of the villas. Well thought-out design and landscape all around. Properties facilities are more than adequate. The nightly live band singing english songs exceeded expectations. The location is walking distance to main Senggigi shops. Nothing - we were very happy! There is a Mosque nearby so I recommend taking earplugs if you don't want to be woken up by the early morning call. Very peaceful place to be. it takes too long to fill up the jacuzzi, the water flow (especially the hot one) are too small, so the hot water inside the jacuzzi tub already become cold before the jacuzzi can be used. The amount of hot water are also too little, after filled up the jacuzzi, there are no hot water left for shower. The pool is a little bit dirty, not because the flower that drooped from the nearby trees, but the clarity of the water are cloudy..